“This annual charity golf tournament is a labour of love," said Pacific Coastal Airlines’ Director of Business Development, Kevin Boothroyd. “We couldn’t do this without the dedication of our employees, and the support of the many suppliers and customers from across the province who show up every year to help us raise funds for these important B.C. based charities." Ktunaxa Nation’s Scotty’s House and the Street Angels Program - Cranbrook. Scotty’s house provides accommodation for vulnerable adults who have aged out of the child welfare system and the Street Angels program offers meals, computer access and much more to those in need. These charities serve both aboriginal and non-aboriginal people in the community. The Source Club - Powell River, which provides support and helps adults with mental illness reintegrate into society and find meaningful work. NEC Native Education College - Vancouver, which helps Indigenous learners realize their potential in a supportive and cultural environment and offers certificate and diploma programs leading toward high-demand careers including health care, counselling, tourism or administration. British Columbia Economic Development Association (BCEDA) In addition to the charities listed above, Pacific Coastal is providing a total of $10,000 to the British Columbia Economic Development Association (BCEDA) Economic Disaster Recovery Program to help that organization with their support of local businesses affected by the wildfires - $5,000 from proceeds of the golf tournament, and a $5,000 matching contribution from Pacific Coastal Airlines. “The BCEDA launched its Economic Disaster Recovery Program as soon as the fires started to impact communities and businesses," said Dale Wheeldon, President and CEO of the British Columbia Economic Development Association (BCEDA). "The Business Recovery Hotline is the active part of the program at this time as we provide support and information to businesses impacted by the wildfires. “BCEDA will send teams to affected communities to help develop an economic recovery plan to assist the community and its businesses overcome the challenges they now face. Without this assistance from Pacific Coastal Airlines it would have been difficult to proceed and these funds will allow us to expand the service we are currently offering to impacted businesses." 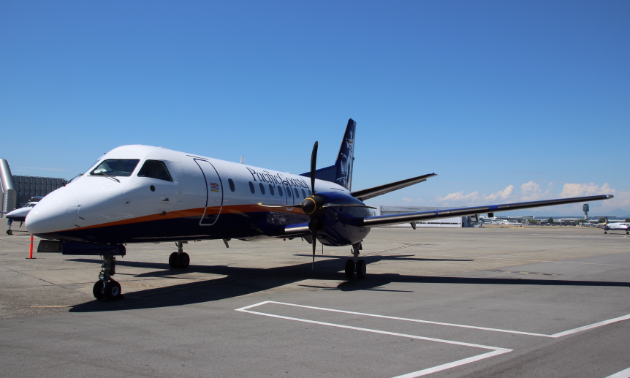 A privately owned, British Columbia based regional airline operating from Vancouver International Airport’s South Terminal (YVR), Pacific Coastal is now the sixth-largest airline operating at YVR, based on outbound seats, and third largest in takeoffs and landings. It flies to 14 airports and connects to more than 50 destinations in the province, from as far east as Cranbrook in the Rocky Mountains and as far north as Prince George and Masset on the legendary island of Haida Gwaii. Its network encompasses major ski destinations, a multitude of fishing lodges, outdoor and wildlife adventure tours, and authentic First Nations experiences.